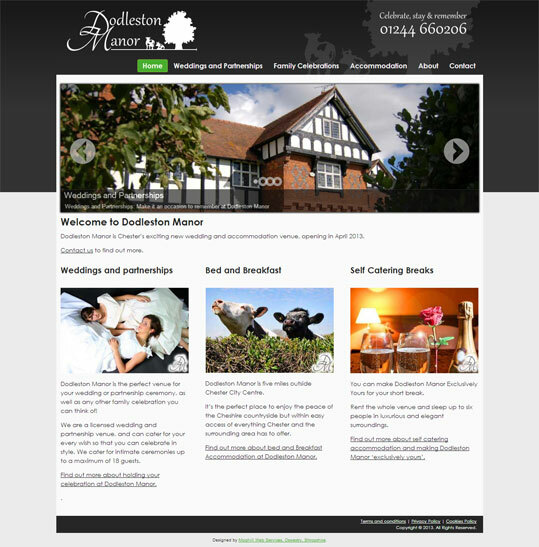 We were asked to create the first website for this new wedding and accommodation venue on the outskirts of Chester. The site was intended to promote the venue in advance of its opening in 2013. We worked with a local graphic designer to create a logo and integrate it into a new website that promoted the wedding and accommodation parts of the business, and also provided social media presences on Facebook and Twitter. As always the site is as easy as possible to use, while being attractive visually and attractive to search engines. The venue opened in summer 2013 and we updated the site to reflect this, with new photography and updated information. In 2016 the client moved on with a different website, which means the one we built can no longer be seen.